This is the second part of the article refuting the claims made in the Zeitgeist movie. Take a read of Part 1 first. 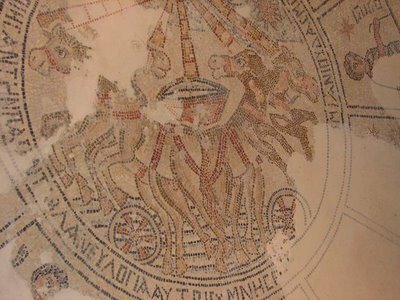 Ron Nash writes, "Allegations of an early Christian dependence on Mithraism have been rejected on many grounds. Mithraism had no concept of the death and resurrection of its god and no place for any concept of rebirth—at least during its early stages.... During the early stages of the cult, the notion of rebirth would have been foreign to its basic outlook….Moreover, Mithraism was basically a military cult. Therefore, one must be skeptical about suggestions that it appealed to nonmilitary people like the early Christians." (Christianity and the Hellenistic World, p. 144). The apostle Peter wrote, "We did not follow cleverly invented stories when we told you about the power and coming of our Lord Jesus Christ, but we were eyewitnesses of his majesty. For He received honor and glory from God the Father when the voice came to Him from the Majestic Glory, saying, "This is my Son, whom I love; with him I am well pleased." We ourselves heard this voice that came from heaven when we were with Him on the sacred mountain" (2 Peter 1:16-18). Dr. Edwin Bryant, is Professor of Hinduism at Rutgers University and a scholar on Hinduism. He translated the Bhagavata-Purana (life of Krishna) for Peguine World Classics and is the author of Krishna: A Sourcebook. When asked about the claim that Krishna [a Hindu god] had been crucified, he replied, "That is absolute and complete non-sense. There is absolutely no mention anywhere which alludes to a crucifixion." He added that Krishna was killed by an arrow from a hunter who accidentally shot him in the heal. He died and ascended. It was not a resurrection. (Cited in "A Refutation of Acharya S's book, The Christ Conspiracy" by Mike Licona. The Christ Conspiracy is the source for many of the claims in Zeitgeist). Edwin Yamauchi says, "All of these myths are repetitive, symbolic representations of the death and rebirth of vegetation. These are not historical figures, and none of their deaths were intended to provide salvation. In the case of Jesus, even non-Christian authorities, like Josephus and Tacitus, report that he died under Pontius Pilate in the reign of Tiberius. The reports of his resurrection are quite early and are rooted in eyewitness accounts. They have the ring of reality, not the ethereal qualities of myth." (Quoted by Lee Strobel in The Case for the Real Jesus, p. 178). Joel McDurmon writes, "Zeitgeist goes on to claim that “probably the most obvious of all the astrological symbolism around Jesus regards the 12 disciples,” which, the movie states, are “the 12 constellations of the Zodiac, which Jesus, being the Sun, travels about with.” Why anyone would consider this “the most obvious” of such evidence I don’t know—I’ve never heard it until now. Were it so obvious you would expect it to be widely claimed. Further, what makes it so “obvious”? The only similarity between the two is the number twelve, for which examples can be found anywhere. The most “obvious” of these, to any “real” researcher is the twelve tribes of Israel. Since Jesus was fulﬁlling the Old Covenant, and was instituting the New Covenant, He was choosing the “New” twelve tribes. Jesus himself said that the disciples would sit as judges over the twelve tribes (Matt. 19:28). This is a genuine historical parallel which is reinforced in the book of Revelation, when these two twelves are joined together in New Jerusalem (Rev. 21:12–14). Why stretch for such wild parallels in the stars when the Bible is self-consistent in its symbolism? Biblical theology needs no help from the astrologers that it despises anyway. The movie even notices that “the number 12 is replete throughout the bible,” but then misses the impact of that fact and concludes arbitrarily, “This text has more to do with astrology than anything else.” If the Bible contains the number twelve throughout, why go outside the Bible to interpret what signiﬁcance “12 disciples” may have? To do so betrays a desire to impose a non-Biblical meaning onto the Biblical text." (Zeitgeist The Movie Exposed: Is Jesus an Astrological Myth?, p. 56). CLAIM 10: HORUS WAS BORN OF A VIRGIN ON DECEMBER 25th, RESURRECTED, ETC. 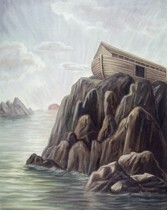 Joel McDurmon writes, "Zeitgeist tells us that the story of Noah’s Ark and the Flood is not unique: The concept of a Great Flood is ubiquitous throughout the ancient world, with over 200 different cited claims in different periods and times.” It is nice to see the Zeitgeist gang ﬁnally catching up to Christian scholars on an issue. We have been pointing out the world-wide phenomenon of ﬂood stories for decades now, trying to make people realize that the ﬂood actually happened! Now Zeitgeist comes along and tries to use this fact against us? These guys are so eager to ﬁnd parallels that they haven’t stopped to think: sometimes parallels may actually work in support of the Bible, not against it. After all, if there really was a world-wide ﬂood thousands of years ago, ﬁnding multiple traditions of the same story all over the world is exactly what we should expect. This is what we do ﬁnd. Almost all these ﬂood traditions record a universal ﬂood in which only a tiny remnant of the population is saved. Some add the building of an ark and saving of the animals. Some recall the ark landing on a mountain; some the sending out of birds, etc. It only stands to reason that a few older legends, especially ones that remained geographically close to and close in language, might just have a similar tradition to that of the Bible. 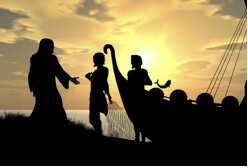 (Zeitgeist The Movie Exposed: Is Jesus an Astrological Myth?, p. 61-62)." (1) Arguments offered to "prove" a Christian dependence on the mysteries illustrate the logical fallacy of false cause. This fallacy is committed whenever someone reasons that just because two things exist side by side, one of them must have caused the other. As we all should know, mere coincidence does not prove causal connection. Nor does similarity prove dependence. (2) Many alleged similarities between Christianity and the mysteries are either greatly exaggerated or fabricated. Scholars often describe pagan rituals in language they borrow from Christianity. The careless use of language could lead one to speak of a "Last Supper" in Mithraism or a "baptism" in the cult of Isis. It is inexcusable nonsense to take the word "savior" with all of its New Testament connotations and apply it to Osiris or Attis as though they were savior-gods in any similar sense. (3) The chronology is all wrong. Almost all of our sources of information about the pagan religions alleged to have influenced early Christianity are dated very late. We frequently find writers quoting from documents written 300 years later than Paul in efforts to produce ideas that allegedly influenced Paul. We must reject the assumption that just because a cult had a certain belief or practice in the third or fourth century after Christ, it therefore had the same belief or practice in the first century. (4) Paul would never have consciously borrowed from the pagan religions. All of our information about him makes it highly unlikely that he was in any sense influenced by pagan sources. 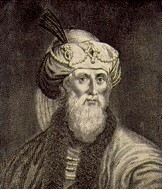 He placed great emphasis on his early training in a strict form of Judaism (Phil. 3:5). He warned the Colossians against the very sort of influence that advocates of Christian syncretism have attributed to him, namely, letting their minds be captured by alien speculations (Col. 2:8). (5) Early Christianity was an exclusivistic faith. As J. Machen explains, the mystery cults were nonexclusive. "A man could become initiated into the mysteries of Isis or Mithras without at all giving up his former beliefs; but if he were to be received into the Church, according to the preaching of Paul, he must forsake all other Saviors for the Lord Jesus Christ....Amid the prevailing syncretism of the Greco-Roman world, the religion of Paul, with the religion of Israel, stands absolutely alone." This Christian exclusivism should be a starting point for all reflection about the possible relations between Christianity and its pagan competitors. Any hint of syncretism in the New Testament would have caused immediate controversy. (6) Unlike the mysteries, the religion of Paul was grounded on events that actually happened in history. The mysticism of the mystery cults was essentially nonhistorical. Their myths were dramas, or pictures, of what the initiate went through, not real historical events, as Paul regarded Christ's death and resurrection to be. The Christian affirmation that the death and resurrection of Christ happened to a historical person at a particular time and place has absolutely no parallel in any pagan mystery religion. (7) What few parallels may still remain may reflect a Christian influence on the pagan systems. As Bruce Metzger has argued, "It must not be uncritically assumed that the Mysteries always influenced Christianity, for it is not only possible but probable that in certain cases, the influence moved in the opposite direction." It should not be surprising that leaders of cults that were being successfully challenged by Christianity should do something to counter the challenge. What better way to do this than by offering a pagan substitute? Pagan attempts to counter the growing influence of Christianity by imitating it are clearly apparent in measures instituted by Julian the Apostate, who was the Roman emperor from A.D. 361 to 363. (Excerpted from his article "Was the New Testament Influenced by Pagan Religions" that first appeared in the Christian Research Journal, Winter, 1994).